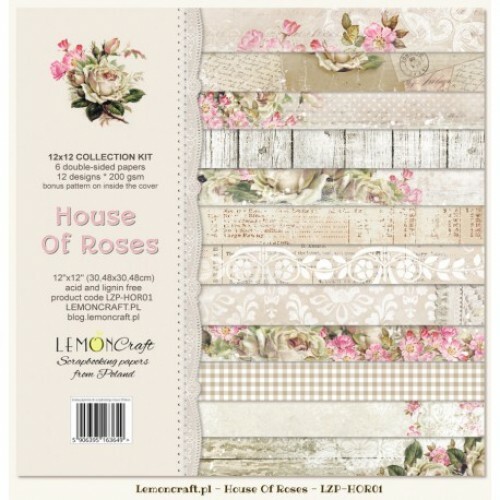 Set (6 sheets) of high-quality paper for scrapbooking. 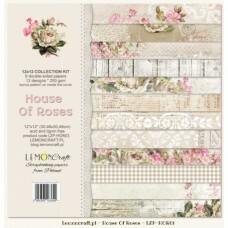 The bonus in this set is an additional pattern printed on the back cover, unavailable outside the set. Papers are especially good at creating layouts (layouts), albums and greeting cards or invitations. Acid free (acid-free) and treeless (lignin-free), with a weight of 200g, printed on both sides in a charming, romantic designs. The dimensions of a single sheet 30,5x30,5cm (12x12 inches) plus the name bar. Made in Poland.